Superheroes come in all shapes and sizes, from the indefatigable Nordic god of thunder, Thor, to the tech-powered Ironman. And while Marvel Comics have blessed us crazy weather lovers with Storm, others like Seun Odukoya have given us heroes like Lanre whose superpowers are his boxing prowess and street smarts. Lanre—also known as Lebe– is the super funny vigilante in Seun Odukoya’s “Lebe: First Cut”. The extraordinary “Lebe: First Cut” is a three part series about Lanre, a street boxer recruited to track the sellers of a new brand of marijuana that’s led to the death of a girl. In searching for the truth, our hero finds himself investigating a drug cartel whose reach stretches from the streets of Ebute Metta to highbrow Ikoyi. Before Lanre’s recruitment, he ran the streets as a street boxer trying to make a honest living. But as his fame grew, he drew the attention of Baba Upper, a big time street thug who wants him to work full time as his personal boxer. Lanre refuses the offer as it means engaging in unethical practices. Unfortunately for him, his refusal to join Baba Upper’s team comes with consequences. His life goes awry as he finds himself sucked into circumstances that lead him from street fighter to a hood-wearing, crime-stopping vigilante. 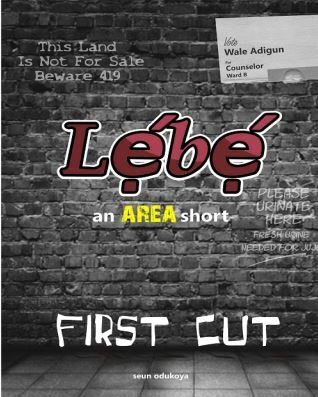 Seun Odukoya’s “Lebe: First Cut” brings an interesting approach to mystery solving by presenting a vigilante as a plug for the dearth of law enforcement in Nigeria. And even in addressing that sensitive issue, Odukoya outrightly diffuses the situation by infusing humor into the pages. 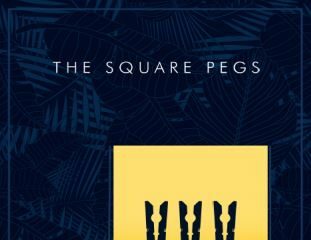 Odukoya’s characters are original, a mix of quirky and intelligent, certainly nothing of the conventional sort we find in other stories. I also find it interesting that Odukoya thought to write from the perspective of people on the streets. 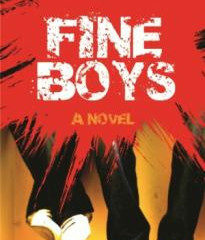 The dialogue is unrefined, a mix of pidgin English and Yoruba that’s guaranteed to make for easy reading. I’ve only read the first part of this trilogy, but I intend to catch up with the rest in due time. Let’s hope that with such an awesome start to Lanre’s story, the rest of the pudding will be exceptional! Want to read “Lebe: First Cut“? Get a copy here from the OkadaBooks store. Chiamaka Onu-Okpara is a freelance editor with experience reworking fiction, creative non-fiction, and academic documents. 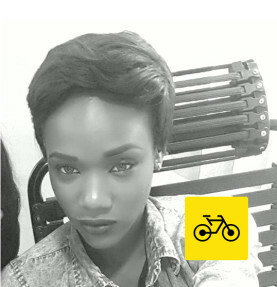 Her stories have been published in Ake Review, Apex Magazine, and The Kalahari Review amongst other places. Her poems are forthcoming in Strange Horizons and Star*Line.